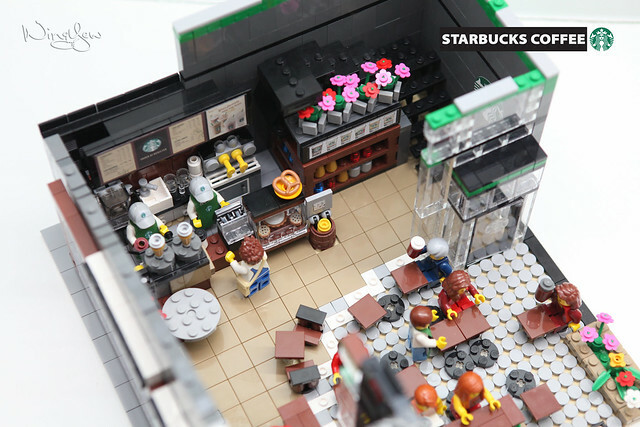 Torniamo a parlare di moc che riproducono attività legate a famosi franchising. 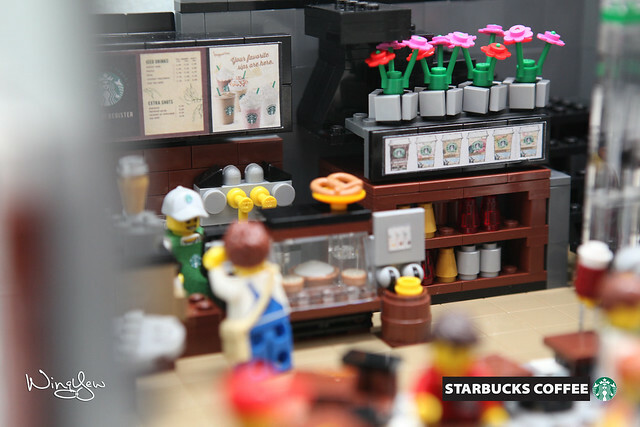 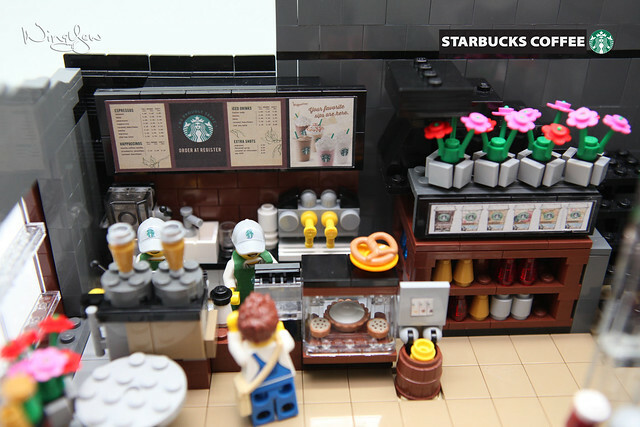 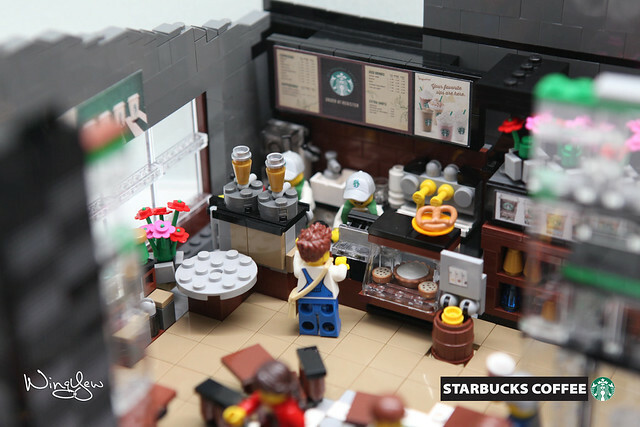 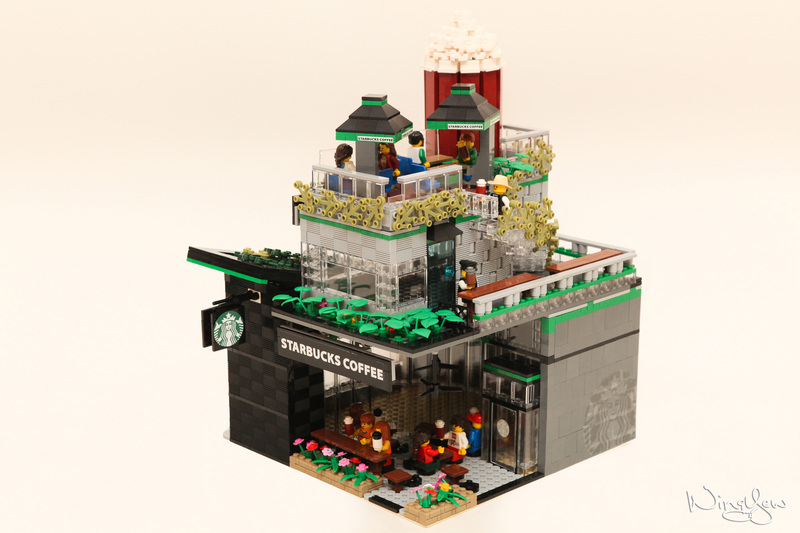 Il modulare di oggi riproduce uno dei famosissimi locali di Starbucks™ ; il dettaglio della moc é impressionante, soprattutto la parte dedicata al bancone. 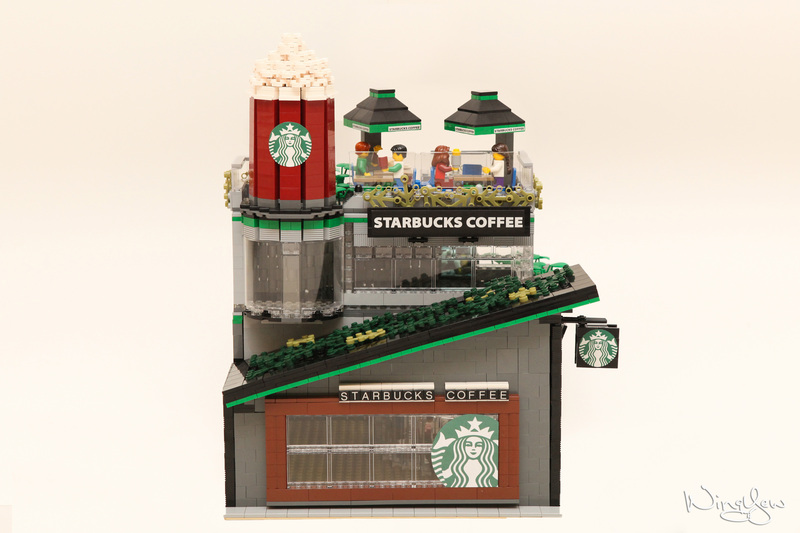 Il modulare si sviluppa su 3 piani nei quali troviamo diverse location dove poter passare il tempo degustando le numerose prelibatezze in vendita. 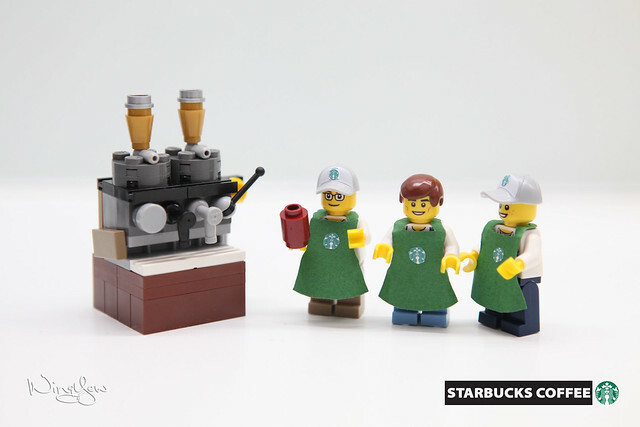 La moc é anche su Lego Ideas, quindi potete andare a votarla e sperare che ne venga realizzato un set ufficiale. 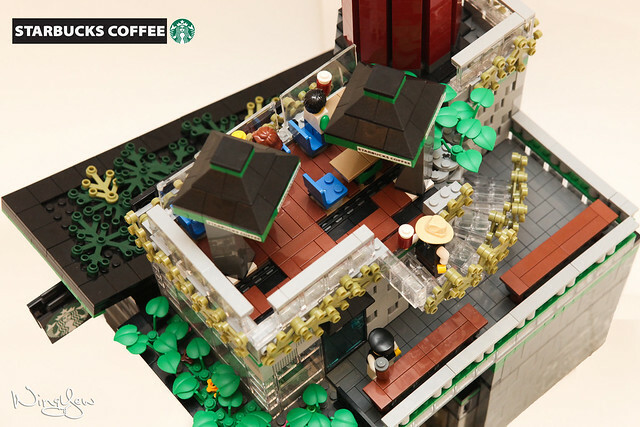 This Starbucks Cafe is built on a 32x32plates, which come with 3 floors design (including the roof top). 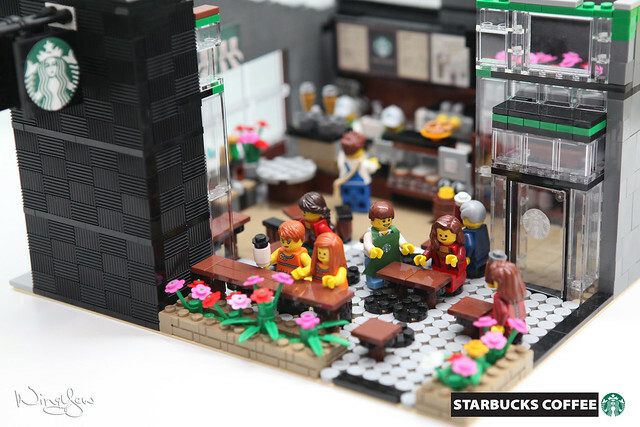 It’s design is able to fit in Modular series (at corner) very well. 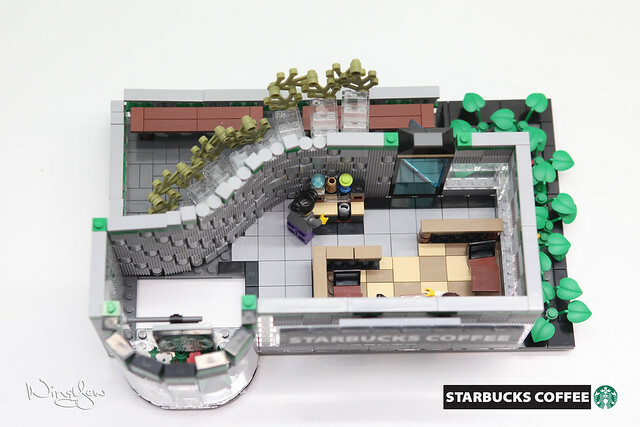 This design had break through from the ordinary modular’s series design, with it’s specially architecture design, it gives the viewer a futuristic feeling and at the same time it remain the details which an ordinary Starbucks Cafe will has. 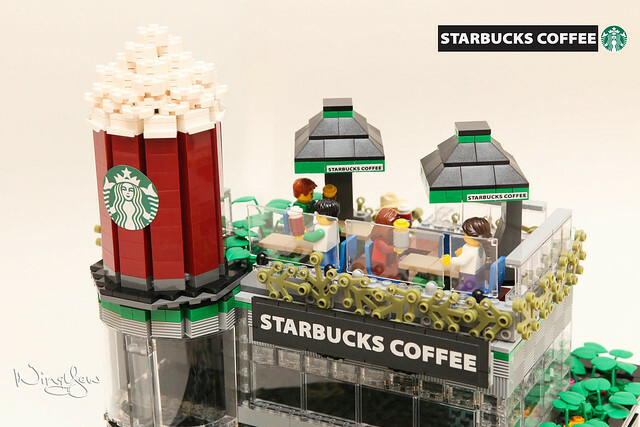 With this specially architecture design, this modular can be well displayed either individual or join with Lego modular series.